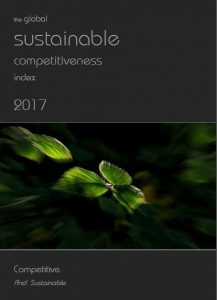 The Global Sustainable Competitiveness Index (GSCI) measures competitiveness of countries in an integrated way. 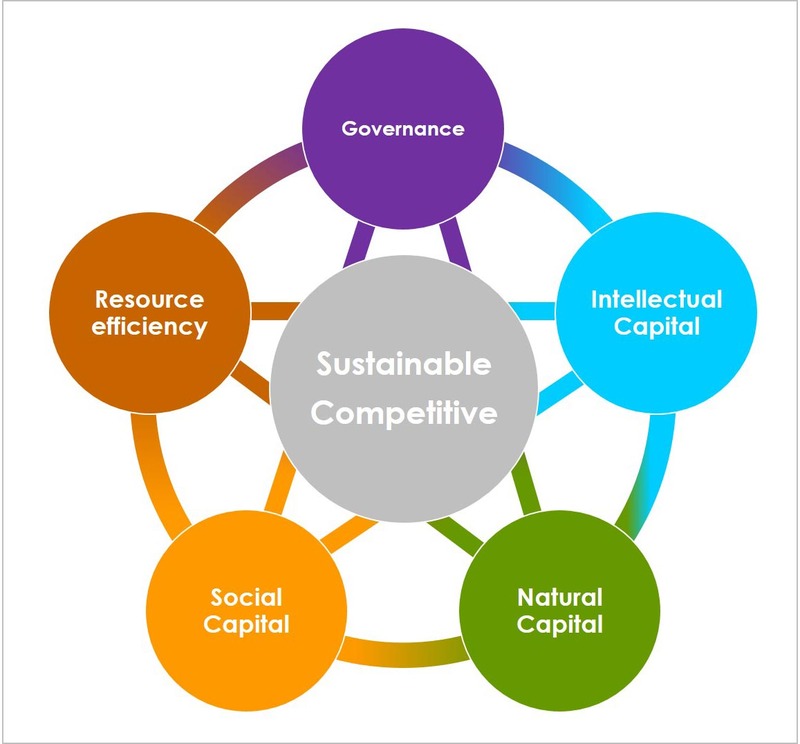 It is calculated based on 111 measurable, quantitative indicators derived from reliable sources, such as the World Bank, the IMF, and different UN agencies.the 111 indicators are grouped into 5 sub-indexes - Natural Capital, Resource Efficiency & Intensity, Intellectual Capital, Governance Efficiency, and Social Cohesion. 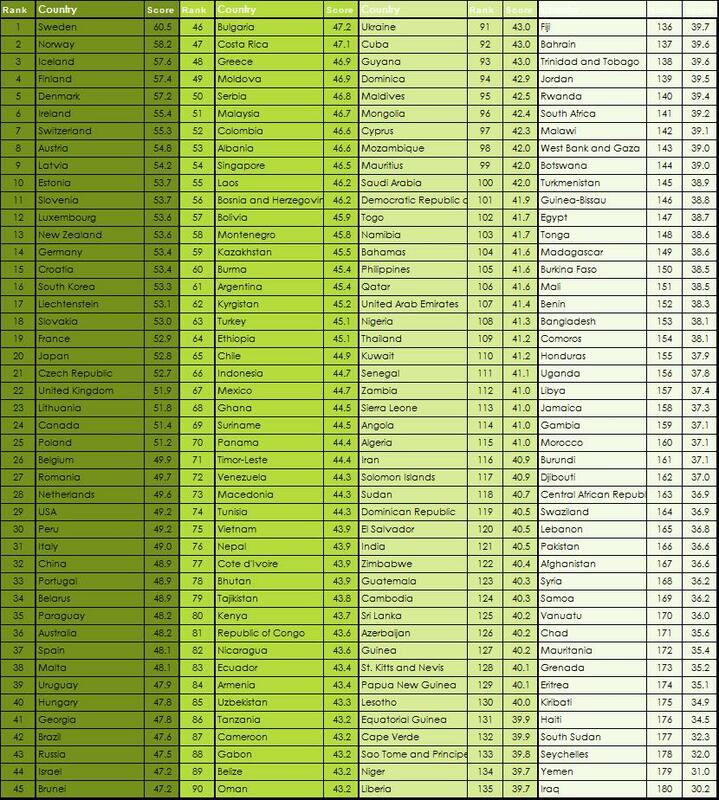 More details on the methodology are available here. Natural Capital: the given natural environment, including the availability of resources, and the level of the depletion of those resources. 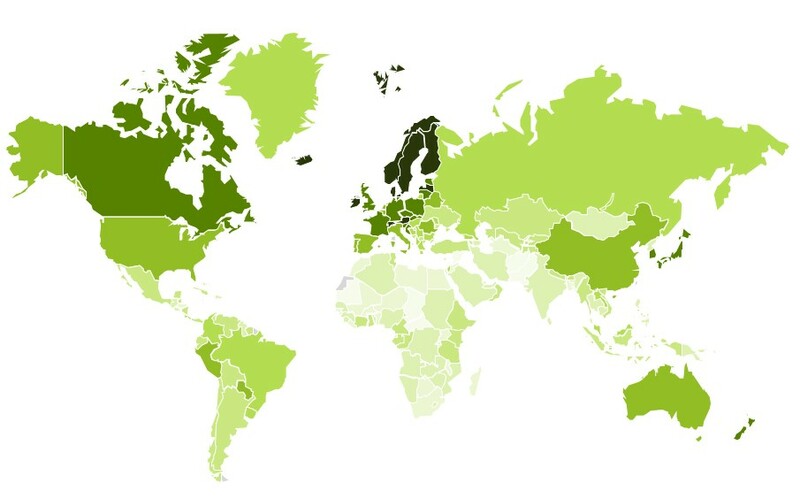 Social Capital: health, security, freedom, equality and life satisfaction within a country. Resource Management: the efficiency of using available resources as a measurement of operational competitiveness in a resource-constraint World. Sovereign bond ratings do not take into account the underlying sustainability factors; they only describe symptoms, not causes. It is high time that credit ratings do take into account the basis of sustained wealth, because sovereign credit ratings do not fully reflect investor risks.